The HOTZONE Committee is composed of representatives from the local, state, and federal levels of the HAZMAT response community serving Federal Region 6. 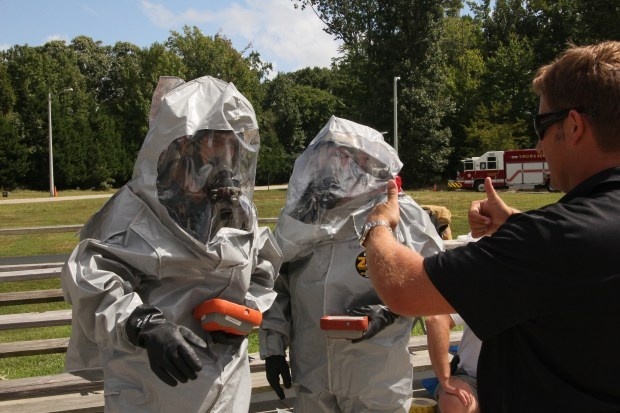 It is the vision of the HOTZONE Committee to establish an annual training conference in order to continuously improve HAZMAT technical training and promote professional relationships within Region 6 as well as meet the unique needs of this region. To meet the unique needs of this region, this conference focuses on bringing together municipal and industrial fire fighters with HAZMAT responsibilities but also seeks to educate and equip other local, State, and Federal agency personnel who play an integral role in unified command at the scene. WE'RE AVAILABLE FOR DEMOS AT HOTZONE 2018 FROM OCTOBER 17TH TO 20TH '18.